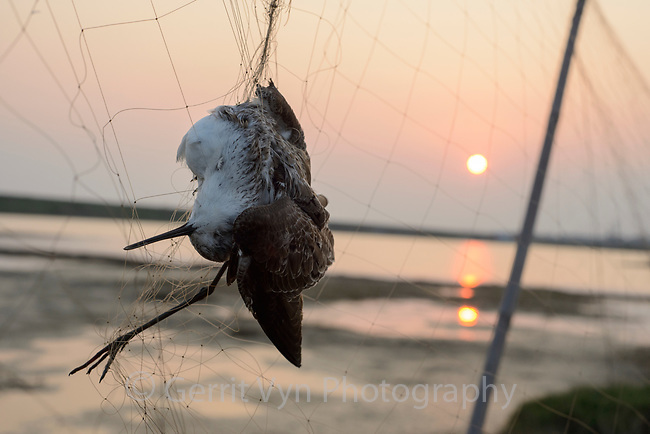 A dead Marsh Sandpiper hangs in a poachers mist net in Guangdong Province, China. Hunters trap birds during migration but leave their nets up year-round indiscriminately killing many birds. Qiantangzhen, China. March.